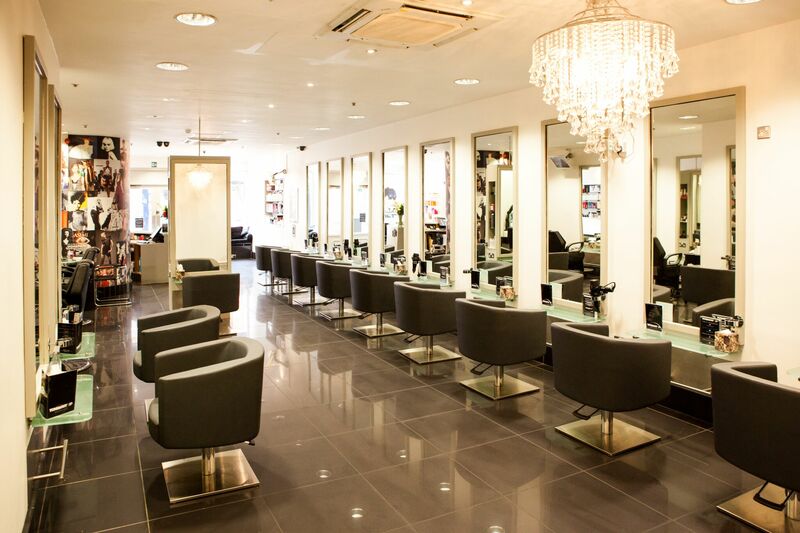 TONI&GUY Southend-On-Sea located in Southend's vibrant High Street. The salon was taken under new managment in October 2008,with a stong team of friendly experienced staff the salon is continuing to grow. Open seven days a week & Bank Hoildays, we aim to meet all your needs offering a wide variety of services including Great Lengths luxury Hair Extentions, Threading, Chemical Relaxing, Brazilian blowdry, Weddings packages & all colouring & cutting services, the salon also offers a wide range of retail & electrical products and in salon treatments. TONI&GUY Southend are so proud to have been crowned the Perfect Salon for 2015/16! I haven’t had my haircut in months purely because the last few times I’ve been they were all complete disasters! Lindley was very understanding and gave me exactly what I wanted; lots of tips for styling as well for my type of hair. 10/10 would recommend. Had my hair done today. I am over the moon with my hair. I would recommend to all my friends and family. Excellent service. Thank you for your review Margaret, we hope to see you again soon. Been going to Toni and Guy Southend for years and refuse to go elsewhere. Kept so clean, all such friendly faces and always happy to help if I’m unsure on something. Iv had my hair stripped and bleached here and my hair has never once been in bad condition, it’s always felt healthy and smooth. The colour always lasts and is as bright and blonde as it was when I left the time before. I recommend them to everyone. I always use Tasha to do my colour as she’s been doing it for years now but have always had either Tasha, Becca or Marcie cut my hair and they always do a good job and such a lovely curly blow dry to end with. I always get so many compliments on the colour and the health and softness of my hair even weeks after having my hair done! Always lovely to visit Tonl & Guy Southend on sea best hairdressers in the town ... always friendly and excellent results ! I really love having my hair done there they are so friendly and professional. Hair is beautiful and shiny. All the dry bits are gone and it looks so much healthier now. Love it. Beyond helpful! Taking customer service to a new level! I rarely go to hairdressers, as I never feel confident with my hair and don’t feel anything will work. I rarely leave a hairdressers happy with my hair. Well this experience has totally changed that. I left extremely happy with tips on how to improve and look after my hair. I left loving my hair and cannot wait to return for my next appointment. I can’t thank Lindley and all the staff enough! Thank you so much for your review Leigh! Lindley will be so pleased with your feedback, we hope to see you soon. Had great experience after a cancelled appointment by mistake. They surely made up for it. Wonderful staff who know their job and know how to treat a customer. Very happy with the results. Thanks for your feedback Pat! From reception to leaving it's always a relaxing and pleasurable experience. And you leave looking good - what's not to like?! Tom was very polite and talked me through everything he did and gave good explanation. Didn’t listen to what was asked for. I said soft layers and I got a choppy layers on one side and nothing on the other side. Very disappointed! Thank you for your feedback, We aim to make all of our clients happy but on the rare occassion we don't, we would love the chance to rectify your haircut for you. We would like to invite you to have your hair redone, please call the salon or pop back in if this is something you would like to do.